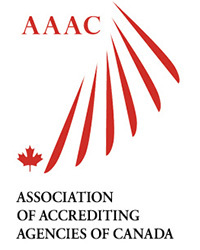 The Association of Accrediting Agencies of Canada (AAAC) was founded in 1994 as a national network of professional education accrediting bodies. It provides a collaborative forum and a collective voice for the community which assesses the quality of professional higher education programs. AAAC advances the knowledge, skills, and good practices of accreditors, and communicates the value of accreditation as a means of enhancing educational quality. Professional Accreditation: What Should I Know? AAAC Members adhere to the Guidelines for Good Practice.